Appliances are an important part of the home. They make life so much easier. Every electronic appliance has its own lifespan. It will wear off or weaken after some time, depending on its quality and usage. However, there is a way to lengthen the life of an electronic appliance. That is through proper usage and maintenance. Maintaining your home appliance is necessary to keep everything running smoothly. You surely do not want to experience having a malfunctioning kitchen stove when you have already prepared the ingredients to cook. Maintaining your home appliances is quite simple. You can do it anytime as long as it is on a regular basis. You can start with the refrigerator. Keeping your fridge in good working condition will avoid wasting all your chilled food. If there is an accumulation of ice in the freezer, you should schedule a time for defrost. You should carefully take out all the chilled items in the freezer before defrosting. Only use an ice pick to remove stuck frozen meat. Avoid using other sharp tools because it can destroy your freezer. 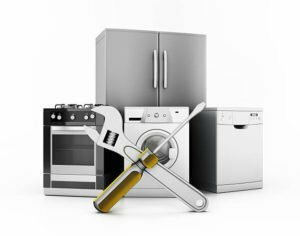 Aside from the refrigerator, there are other home appliances that should be maintained by the owner. It is best to start with the most-used appliances. So you’ve just moved into your new home and are experiencing pride in ownership for the first time. This means many things: mowing the lawn, de-mucking the gutters, but most importantly cleaning your kitchen appliances more often than the day you vacate your apartment! Now when your dishwasher breaks down, it’s no longer good enough to simply call the landlord and wait for them to fix the problem for you. You may be confronted with a range of complicated and frankly scary-looking appliance parts for the first time. But keeping everything running smoothly is not as daunting as it seems. To view more about the topic, visit https://www.fix.com/blog/appliance-repair-tips-and-tricks/. Proper usage of home appliances is also another way of maintaining their good working conditions. Every owner should always use electronic appliances properly in order to avoid damages. Most electronic appliances malfunction due to improper handling by the user. Although there is still a possibility that they can be repaired, you still cannot be sure that they will function normally as before. Proper usage of electronic appliance can also save electricity. With Chennai’s weather, it is almost ALWAYS SUMMER! It is always tempting to use the air conditioner all the time. Though this comfort burns a hole in our pockets with a high electricity bill, alternative strategies can help us beat the heat with ease. Using a TOGGLER device can help set up the duration and speed of your FAN and AC. AC and Fan TOGGLER is an ultra cool device that helps to operate your AC and Fan on auto pilot! You can go to the main site to read the full article. Home appliances are considered as blessings to home owners. They can do more things indoors with home appliances. However, always be cautious with how you use your home appliances. Electronic appliances can start a fire if not used properly. You should read the manual that comes with the packaging of your appliances in order to be safe all the time.